We also make fantastic hand patted farm butter which has a unique taste of its own. We take it to all the Farmers Markets we attend and it is available from a few farm shops and delicatessens in the region. 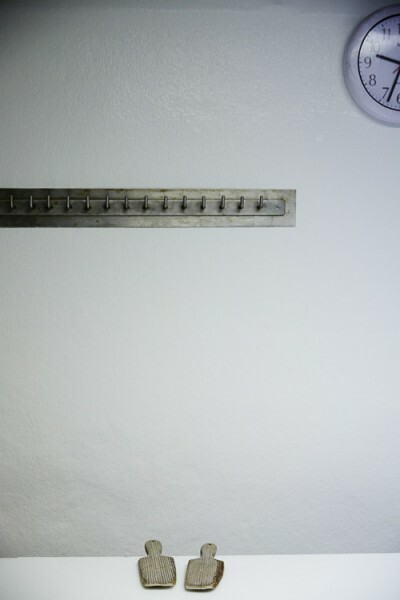 When the milk is separated into curds and whey, there is some cream left suspended in the whey. This remaining cream is removed from the whey, kept for a few days to ripen,which allows it to develop some extra flavour and it is then churned into butter. 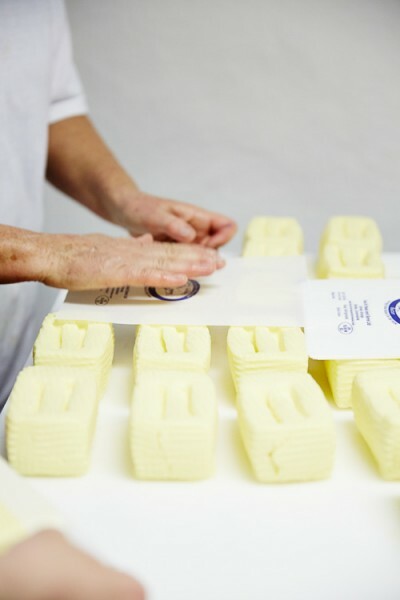 We add a little salt and then pat the butter by hand using traditional wooden butter pats. The butter has an unrivalled flavour and a wonderful marbling when you cut through it. Our butter is used by several highly acclaimed restaurants including Sat Bains, Alimentum, Corrigans and Bentleys Oyster Bar.